When people attend direct sales parties, they have certain expectations. There’s probably an expectation to have a good time. However, you can go further than that. 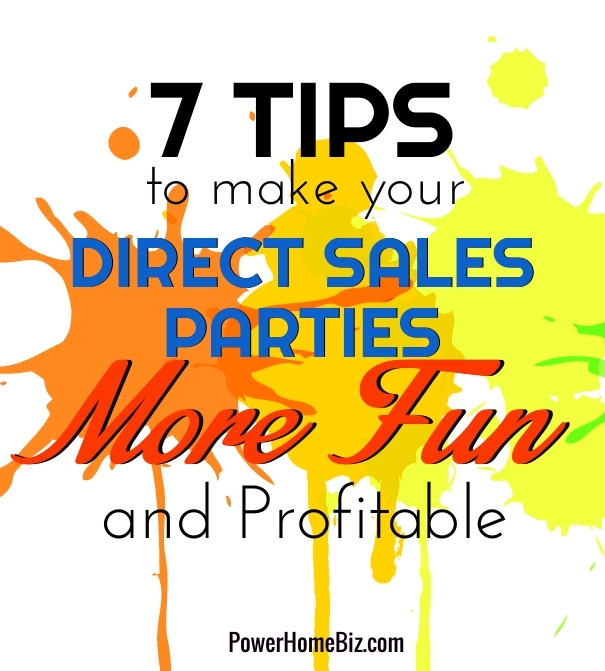 Here are a few easy tips to make your direct sales parties more fun, to make sure everyone has a great time. One great way to get the party off to a fun start is to host a contest to get people talking and mingling. For example, if you’re selling makeup, you can have a “name that lipstick” contest to see who can come up with the most creative or interesting name. If you’re hosting a party for home goods, you could choose one of those items whose job isn’t apparent and hold a contest for people to guess what the item is used for. You can also fill a jar with money, ask people to guess how much is in the jar and give them the jar as a reward – a jar full of money will put anyone in a good mood! A good, old-fashioned genuine smile is contagious and it’ll spread like butter on a hot day. Welcome each guest like you would a long lost family member and make them feel welcome and appreciated. Parties can lull and when they’re too quiet it can become awkward. Have some festive music playing to set the mood – not too loud, of course, because you want people to be able to hear each other speak. Decorate a bit to make the party feel like a party. Now you don’t have to put up balloons and streamers, but a beautiful bouquet or two of flowers, some candles and smaller decorations can make it feel like a party. And hey, if you want to put up some balloons and streamers, go for it! Feed them! Food has a way of bringing everyone together and it can make an average direct sales party a superior one. A few tasty appetizers and some decorative cocktail napkins is a nice touch. Let attendees handle the products. People love to be able to touch, examine and explore products and many sales experts agree that once a product is in the hands of the customer, the sale is almost guaranteed. Let your party attendees handle the products. In fact, if you can display them on a table and let people explore that’s a great way to decorate too. Play a game or two. We already talked about contests; however, a game can also lighten the mood and make a direct sales party more fun. For example, a hostess scavenger hunt is a fun way to get people to work together and have fun. Making a direct sales party fun just takes a little planning and a desire to make each party you hold the best it can be.